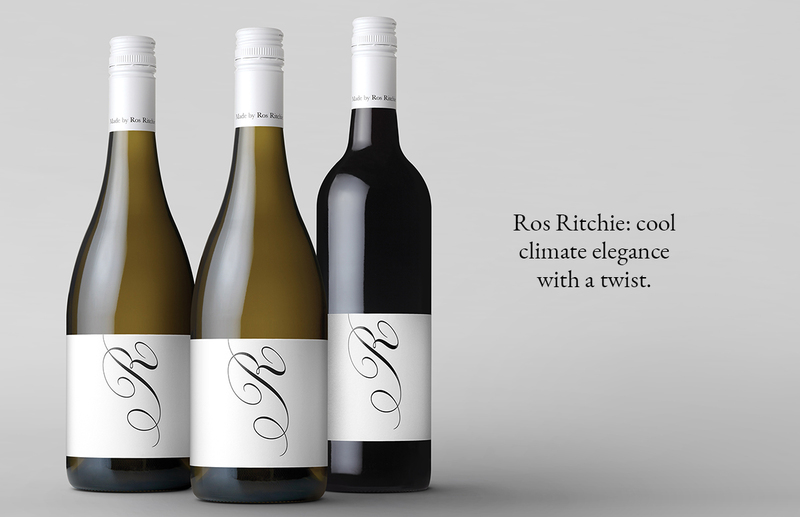 Ros Ritchie: cool climate elegance with a twist. Winemaker Ros Ritchie sees herself as part of a chain. 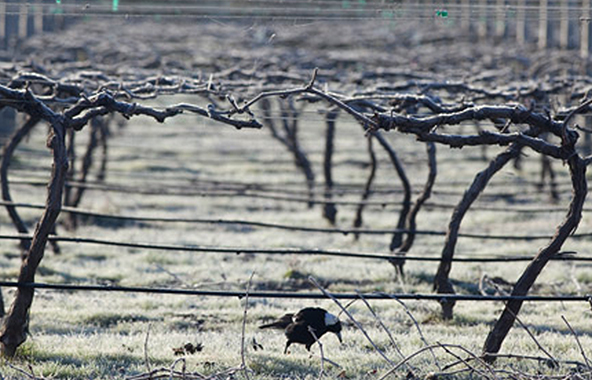 To make her delicate aromatic wines, Ros sources her grapes from small growers in the Victorian high country. These local vineyards, owned by neighbours and friends, are integral to the wines she produces. We wanted to convey the sophisticated nature of Ros’ wines as well as her bespoke winemaking method. 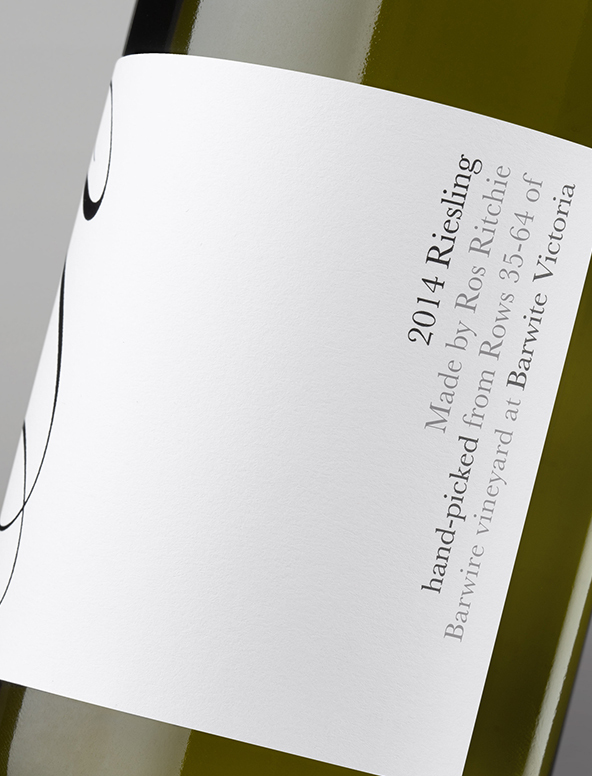 We designed her label to be deliberately pared-back and elegant: just like her wines. 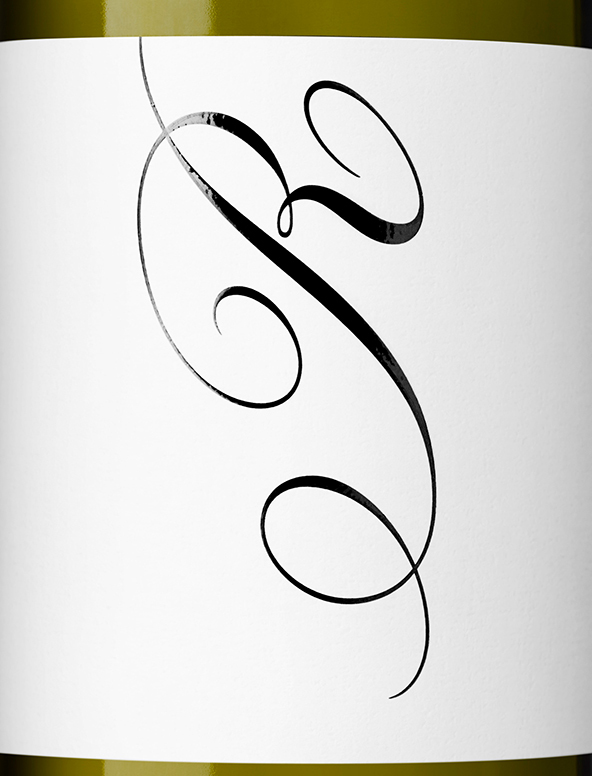 The simple script letter ‘R’ turned on its side creates a memorable icon as well as reflects the tendrils of a vine. As Ros makes all her wines herself, to emphasise this we added “Made by” to her brand name. Every label includes detailed information regarding the vineyards and row numbers that each wine was picked from. 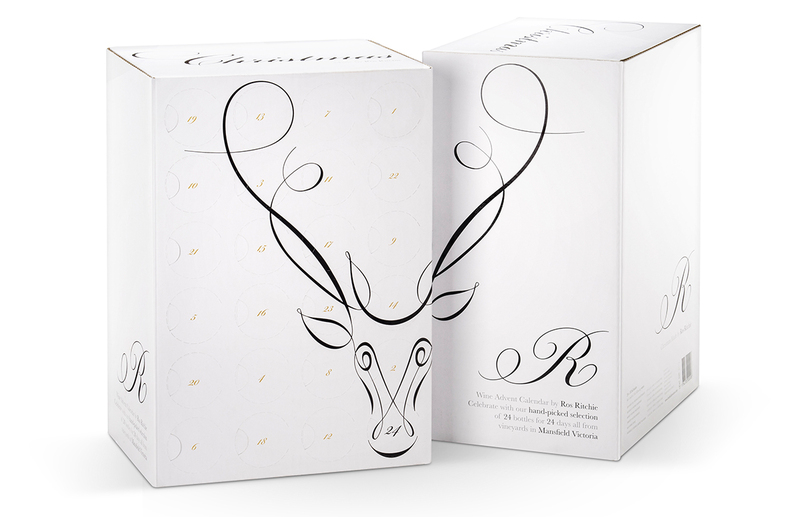 The elegant black and white of the identity extends beautifully to shippers as well as an innovative Advent calendar wine box for Christmas.